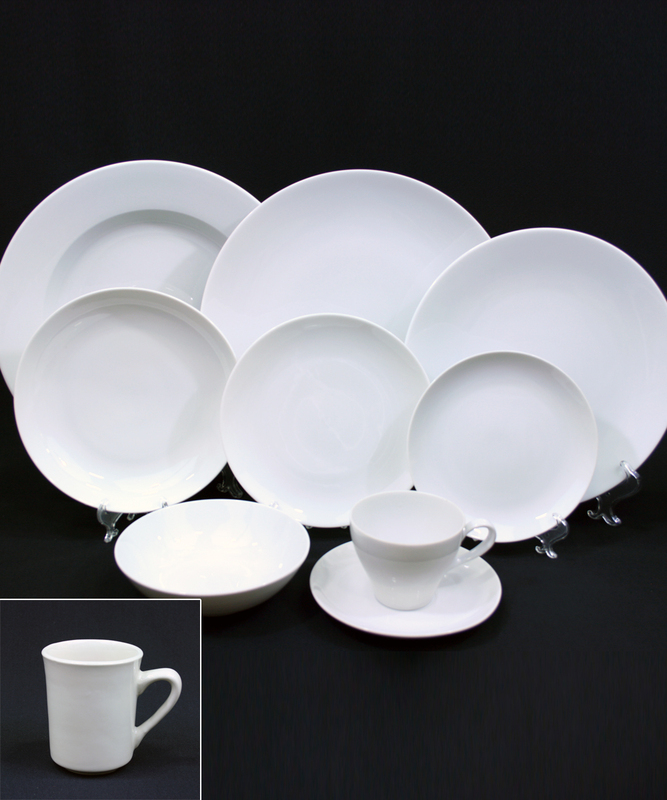 A simpile china pattern in classic white. This is a great choice for those who want a clean, minimal look. All china comes in packages of 10.